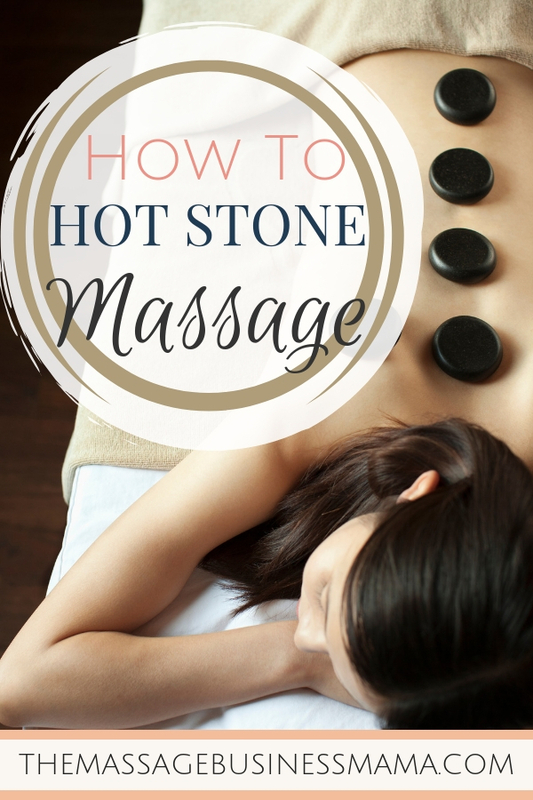 In this Post: Massage Therapists learn how to give a hot stone massage, contraindications, techniques, and cautions. Hot stone massage can be an effective way to penetrate a little deeper into our clients tired and aching muscles. If you have never experimented with using stones, you may want to find a friend and try out a few of the techniques you learn here before diving in with clients. The stones can be a bit awkward to use at first, but once you get the hang of them, you may be surprised by just how much you love implementing them into your repertoire. Clients love stone work. It seems to enhance their relaxation to a whole new level. When compared with herbal soaks, salt scrubs, and other “spa” treatments, stone work is a relatively easy technique to implement into your practice. 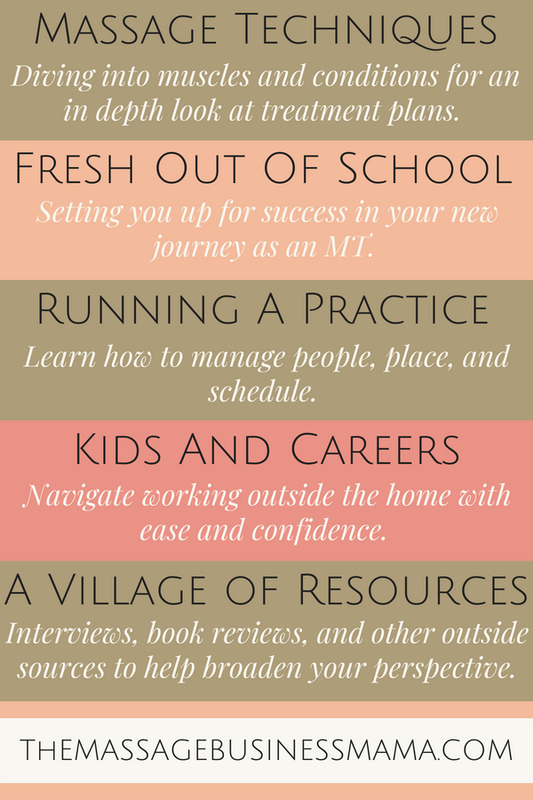 You don’t need fancy showers, special flooring, or cost prohibitive equipment like you may need with some of these alternative methods. Traditionally when doing hot stone massage, you would only use hot stones. However, on occasion, you may want to also use cold stones. There are some wonderful benefits to using cold stones. Contrast therapy or the act of alternating hot and cold treatments to expand and contract the blood vessels, allows nutrient-rich blood to pump more easily through the body. This increases oxygen flow and is an effective method when swelling is present in the body. Great for athletes and chronic injuries! Heat increases the blood flow to the areas being treated which helps reduce muscles spasms, increases flexibility, and range of motion. Whether you choose to do a more traditional hot stone treatment or add in contrast therapy, the supplies, benefits, contraindications, and implementation are fairly similar. Before we begin, one word of caution, burns from hot stone massage are the #1 reason lawsuits occur against massage therapists. Therefore it is essential that you have an open line of communication with your client. Make sure to explain to your clients prior to the treatment to speak up if the temperature is ever too much for them. Stones – You can either purchase stones or collect your own. As you become more versed in using stones you may find that there are specific shapes and sizes you like working with better than others. Many therapists like the energetic act of choosing each individual stone. This way you can tailor your set to your own specific preferences in terms of size and shape. However, when you are just starting out you may not know what weight, shape, and size you prefer. In this case, taking the guesswork out may appeal to you. Warmer – The official line is that you should only use a professional stone warmer. With these warmers, you are able to set the water to a specific temperature. A good recommendation is to warm the stones between 110-130 degrees F. There are other methods to warm your stones like waterless warmers, crockpots, or microwaves. But using one of these methods doesn’t create as consistent of heat for the stones, thus potentially creating a hazard. Bucket – If you choose to do contrast therapy you will want a bucket for ice water. Ice – For contrast therapy. Large Serving Spoon with Holes – For removing the stones from the hot water. (Trust me, you will want this. I have forgotten to bring this into sessions in the past, and it can be challenging to get the stones out without the spoon). Lotion/Oil/Cream – Many therapists prefer working with oil when they give hot stone massage. Experiment and see what works best for you. Towels – To set stones on once you have removed them from the water. Thermometer – To measure the temperature of the water which should be between 110-130 F.
Once you have gathered your supplies, you will want to prep your tools. Cover your stones in the warmer with water just above the stones. You don’t want to fill too much water as it will make it harder to get the stones out, and harder to reheat stones if you choose to reuse them during the session. If you are choosing to do contrast therapy you will want to put a mixture of ice and water in the bucket. At least 30 minutes before your designated session time you will want to turn the warmer on to begin warming the stones. 110-130 is the ideal temperature. Before bringing any stone into contact with your client’s, test the stones on your own skin. A great place to do this is the distal part of the anterior of your arm. Here our skin is extremely sensitive. If you can handle leaving the stone here for a few seconds without moving it, the temperature is probably a good heat. Though some clients have less tolerance for heat, so make sure to check in frequently! A stone fresh out of the warmer should be moved rapidly. Otherwise, the temperature may quickly become too much for the client. Use the stones like you would use your hands. Actually using the stones to do the massage work. Make sure to flip the stones frequently in your hands to ensure an even temperature for the clients. Use stones with pointed edges for trigger point work. Narrow stones work great for digging into areas like the rhomboid, where you can actually push the stone under the scapula. This feels amazing! Never place a stone directly on the skin unless it has been cooled to an acceptable level or you have a sheet or towel between the clients skin and the stone. We so often see images of bare skin with stones placed strategically on the body. These are misleading images. This is the quickest way to burn a client. So again, if you are going to leave stones on the body, make sure they have either been cooled a bit, or you have some type of a barrier between the client’s skin and the stone. While most of the big insurance providers, AMTA, ABMP, and MMIP cover hot stone work, some of the smaller insurance providers do not. Check with your insurance provider before offering hot stone massage to make sure that you are covered. Again burns are the #1 reason massage therapists have lawsuits against them. If you aren’t feeling fully confident in your abilities, take a class before offering this technique to the public. Reminder – Don’t leave a stone straight out of the warmer directly on the client’s skin. BURNS COULD OCCUR! The only entirely safe method for hot stone treatments are professional stone warmers if you choose to use a crockpot, microwave, or waterless warmer, proceed with caution. If you are doing contrast therapy, after you use a cold stone, warm your hands before placing these cold beasts directly on your client’s skin. Once you have completed your hot stone treatment, make sure to wash all utensils used in the treatment thoroughly. Hot stones are an amazing tool when used safely! Educate yourself and practice, practice, practice. This method more than any other requires knowledge of the part of the practitioner. Once you master the art of hot stone work, your clients will be begging for more.